This afternoon Ninjasaurus Rex and myself played our first game of Square Bashing 2nd Edition. I'd been looking forward to playing it as I really enjoyed the first edition so much, so I was hoping for an improvement. In the end though, I was left disappointed by what I felt was an under par set of rules. I'll explain why I thought this as I describe the game. 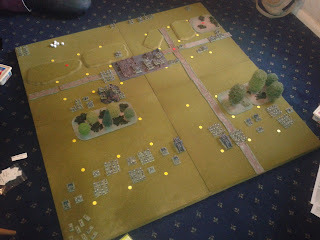 As it was our first game we played to the Quick Game rules, so that meant there was no artillery or other assets which would only add a layer of complexity. The British attackers had a 620 point army against the German defenders with a 450 point army. This translated as 4 Professional Battalions and 4 Regular Battalions of infantry, 5 Machine Guns, 6 Field Guns and 2 Heavy Tanks for the Brits, with 6 Regular Battalions of infantry, 6 Machine Guns and 6 Field Guns for the Germans. And here is the initial set up for the forces. The Germans only lost a couple of bases to depletions (which can be seen in the top row of the board), so it was still a strong force facing the attackers.The British are at the bottom of the picture. 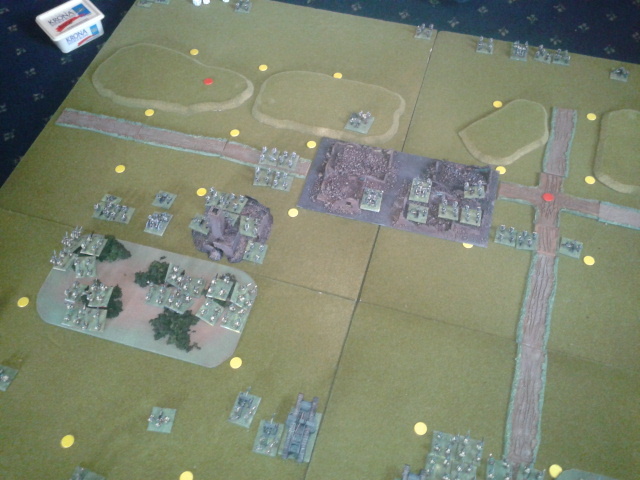 The first turn went well, my left flank advanced across the fields into the woods, ready to assault the following turn. I had four battalions of infantry (two regular, two professional) in the woods facing the Germans holding the ruin and their supporting units. 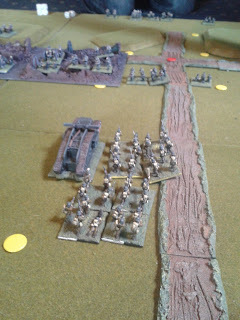 The assault on the left flank went badly for me, mainly due to the fact that some of my troops couldn't leave the woods to attack so it was a pretty poor effort overall. This is where the first problems arose with the rules. 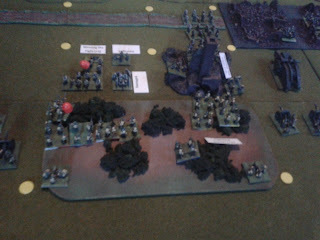 Each successful hit on a unit warrants the removal of 1/2 a base of infantry. This really made little sense to us because the half base is indicated by the removal of a base and the placing of a casualty figure, the same marker which is also used in morale purposes! It led to a bit of confusion and discussion until we decided to mark the distinctions with different markers, red tabs for damaged units and casualties for morale. The situation was similar on my right flank as I tried to break through the German line. So the final chapter of the action looked like this, I was assaulting with little effect on the left flank but looked like I had a better chance on the right against the Germans in the open. 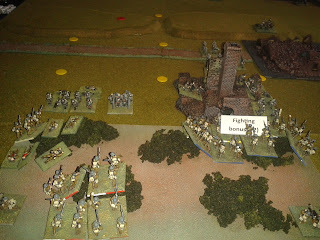 And the most fought over area dealt two of my battalions devastating casualties, morale affected the units on the right so that they couldn't advance any further than the woods. It would have been interesting to see what would have happened beyond this turn. The game only lasted for four or five moves before we had to abandon, but took over three hours to play. This was partially due to the confusion that we found with the new rules. 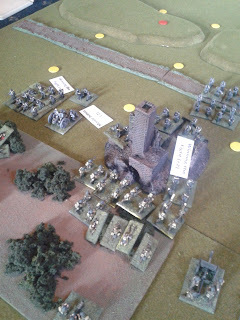 For instance, the morale phase of play is at the start of the turn rather than the usual end, which totally threw us. 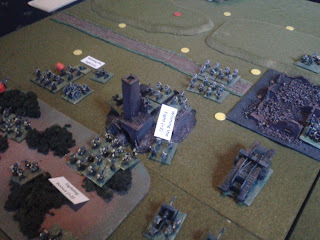 Plus we spent a lot of time discussing the 1/2 a base removal and the resulting confusion with the casualty markers. I was just as dumbfounded, so I'm pretty sure it wasn't your hangover that was the problem! If any of my pictures look decent, I'll post them tomorrow. 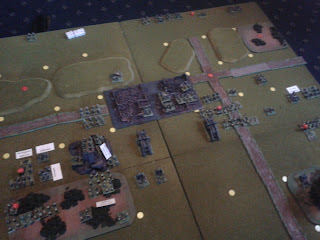 Good batrep and a nice assessment of the game rules. 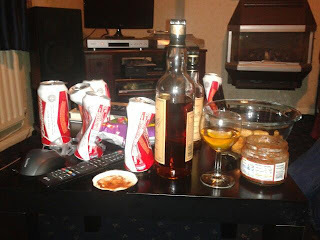 No rum and sloe vodka tonight as it's a work a day, tomorrow. 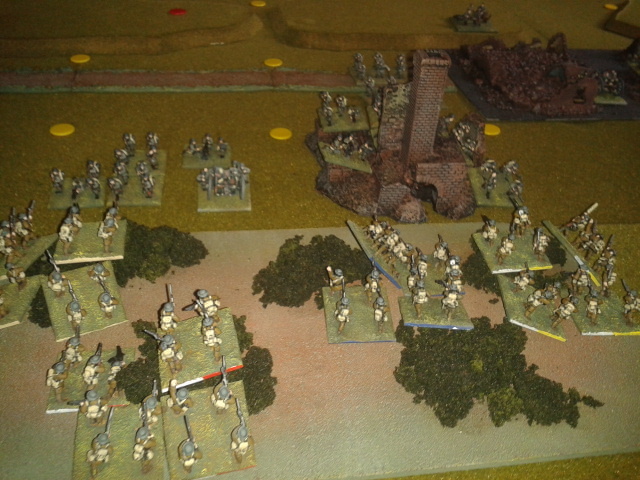 The rules are very clear that Casualty figures are used only to mark the damage taken in the current turn for Morale purposes, and then are removed at the end of the Morale Phase. But obviously you could use any kind of marker. Actually, they aren't clear. I have just re-read it and it states that a casualty marker is placed to represent a half base or two for a full base, meaning that a base is removed whether one has a single casualty or two. 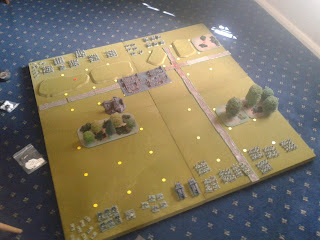 This would mean that when the markers are removed in the morale phase a full base would theoretically be removed whether one had a single casualty or two, as there is no mention of using a marker to represent a half base should only a single casualty be received. I would have liked to see a section on basing which mentions that the rules also use half bases as well as full ones, so one can be prepared for the confusion. 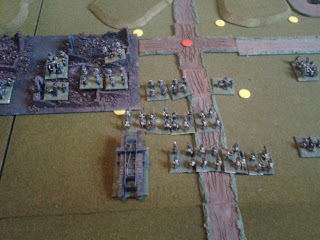 But as you can see from my later games, I got around the problem by creating half bases and I really like the game now.